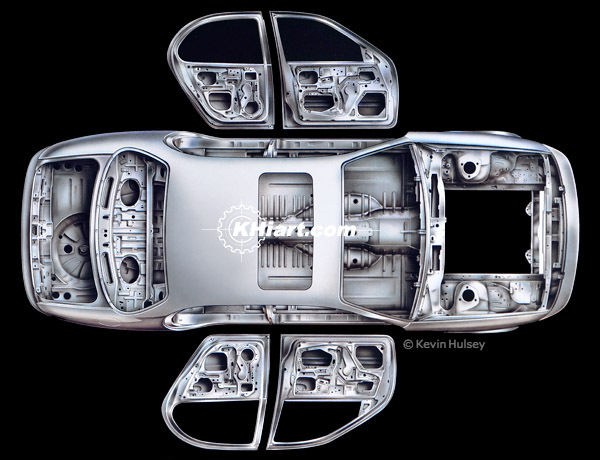 aerial top view of the steel structure "white body" of an Infiniti Q45 which was used in the car's consumer brochure. 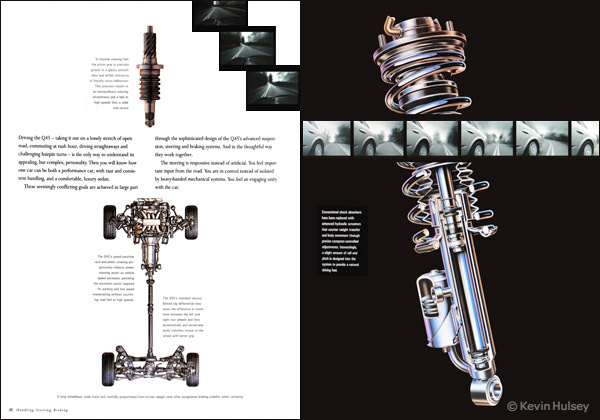 This portfolio page features artwork that was created for Nissan's Infiniti of North America devision, and contains technical illustrations from the Infiniti Q45, J30 and G20 brochures. 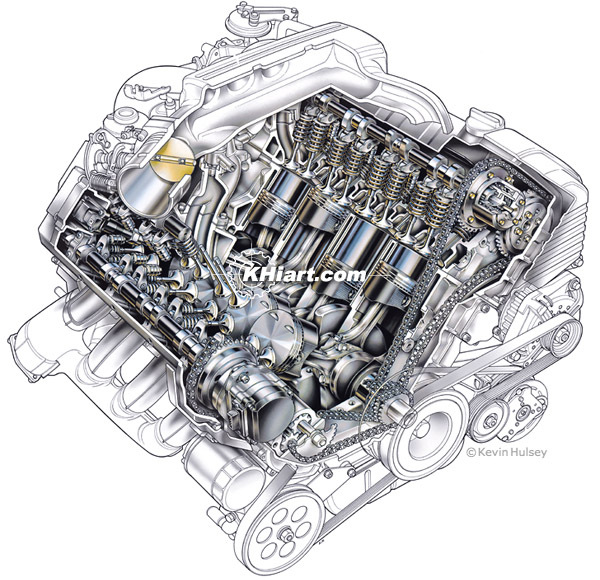 This cutaway DOHC V8 engine was done for the Infiniti Q45 brochure. The reprint above is from the first Q45 brochure which contained over 30 technical drawings and cutaways. 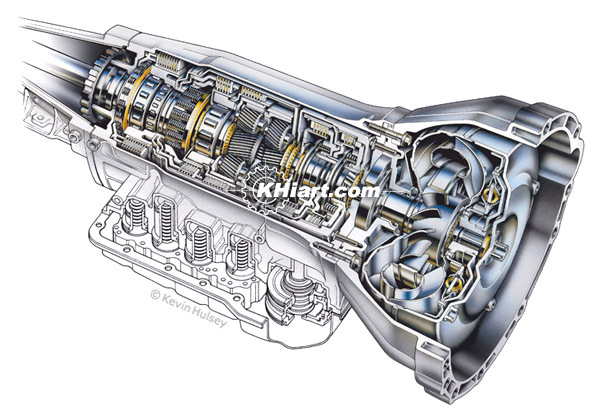 Infiniti J30 4-speed automatic transmission illustration from the consumer brochure. 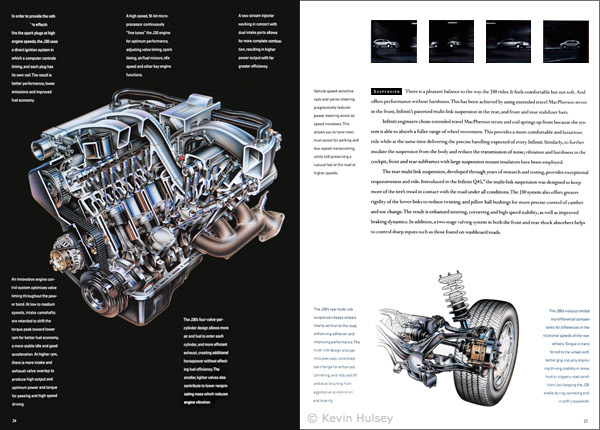 This reprint is from the J30 brochure, showing illustrations of the V6 engine and multi-link rear suspension.